A Kiki Vandeweghe personal appearance, Kiki Vandeweghe speaking engagement, or Kiki Vandeweghe endorsement will reflect well on your company. To hire Kiki Vandeweghe now for any corporate appearance, fundraiser, motivational speaker event, personal appearance, autograph signing, or website endorsement please contact our celebrity agents at 1-877-6-SPORTS. We will contact Kiki Vandeweghe or contact Kiki Vandeweghe's agent and provide you with the booking fees and availability immediately upon your request. Direct Sportslink is the only sports speakers bureau and talent booking agency based in the United States securing only sports talent for corporations, associations, and organizations for motivational speaking engagements, personal appearances, and endorsements. We are the premier sports celebrity booking agency and a sports celebrity procurement expert. Accordingly, we will provide you with any relevant Kiki Vandeweghe website information and booking agent details so that you can hire Kiki Vandeweghe for your next event. As a collegiate star at UCLA, Vandeweghe, along with head coach Larry Brown, led the Bruins to the 1980 NCAA championship game. As a player, Vandeweghe was regarded as an excellent scorer and outside shooter. His offensive repertoire was powered by a single move, the jab step. He was so proficient at this lone move that it was often referred to as the "Kiki Move" toward the end of his career. As a member of the Nuggets, Vandeweghe was twice selected to the NBA Western Conference All-Star team, in 1983 and 1984. In the summer of 1984, Vandeweghe was traded to the Portland Trail Blazers. Vandeweghe had several productive seasons in Portland, where he averaged nearly 25 points a game. He paired with Clyde Drexler to form a dynamic scoring duo. On August 9, 2001, Vandeweghe was named to the Nuggets' general manager position and oversaw a return by the Nuggets to the NBA playoffs. Major moves by Vandeweghe have included the drafting of Carmelo Anthony in 2003, the trade for Marcus Camby in 2002 and the hiring of George Karl as head coach in 2005. 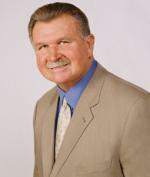 Vandeweghe spent the 2006-07 season as an NBA analyst for ESPN, appearing on the channel's SportsCenter and KIA NBA Shootaround programs among others. 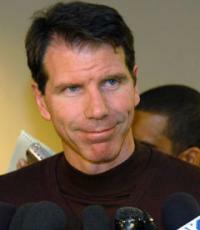 In 2007, the Nets announced that Vandeweghe would join the team as a special assistant to team president and general manager Rod Thorn. 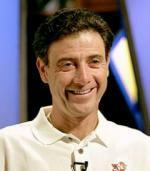 In 2009, he became interm head coach of the Nets, where he spent the rest of the 2009-2010 season. Based on your interest in Kiki Vandeweghe as a speaker or for a personal appearance, Direct Sportslink has provided you additional links below for other sports talent with similar appearance fees, speaker topics, and categories that match Kiki Vandeweghe.